On this Memorial Day, the entire ImagineX team takes a quick breather from building an amazing and unique tech consulting firm, and spends the day with our friends and families so we can pay respect to the women and men in the armed forces. Their selfless dedication to protecting our country allows us to go to work each day in the greatest country in the world, in a work environment that allows anyone to be successful if they put in hard work and passion for what they do. And if they are fortunate enough to work with a group of likeminded individuals who share their same values, the synergy that is created by the team becomes 10x more than what it is as an individual. This is the mainstay of our armed forces teams: their absolute trust in each other, their comraderie, their selfless care for their fellow teammate, it is truly inspiring. We have seen many moments when our different ImagineX teams show these same values, and it is so moving to watch this “magic”. ImagineX feels a close kinship with our veterans and our armed forces. One our our very own consultants, Davis Dolezal, is one of those veterans. Davis joined the United States Marine Corps in 2003. While serving, Davis was stationed in Washington, D.C. at Marine Barracks 8th and I serving as one of the Presidential Guard for the President of the United States! He also served one tour overseas in Iraq. 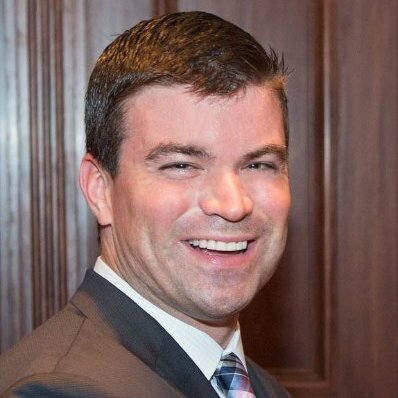 Since his return, he has focused on the tech startup community and is currently supporting one of our clients on their most strategic Information Security projects. Davis is also actively involved with several Veteran non-profit organizations that focus on veteran job growth and transition from the Military into the civilian sector. Davis, from the entire ImagineX family, thank you for your service and the great example you set for the rest of us. Even before Davis joined our team, we felt the strong urge to support the military, and this ended up happening in the least likeliest of scenarios – halfway across the world. The ImagineX senior leadership team were in Israel for a series of technology meetings as well as our Quarterly Business Review. While there, one of our founders, Mickey Weizmann, who is Israeli himself, planned a great and impactful surprise for the rest of the team. After 5 days of meetings, touring, biking, and understanding the great complexities in that part of the world, we spent the last afternoon in Israel, on an active Army base. 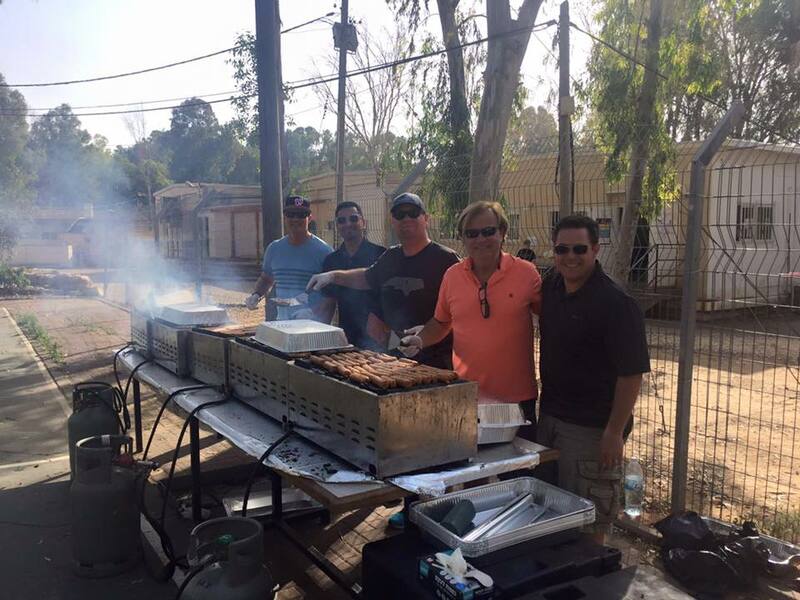 After waiting for about an hour to get the appropriate clearance, we were escorted to a couple basketball courts, where we would be preparing and cooking a barbecue for over 250 elite Israeli troops. We were escorted by a man named “Aba”, Hebrew for “father”, and he introduced us to Steve Mizel, who runs the Thank Israeli Soldiers non-profit (please visit thankisraelisoldiers.org for more information on how you can help). 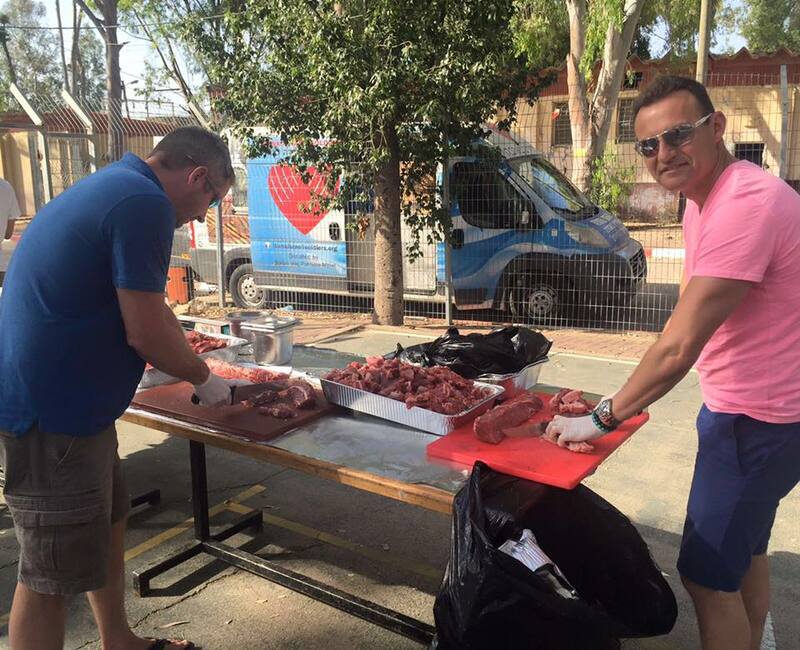 Steve and Aba travel around Israel preparing amazing barbecues for Israeli troops, a small (but large) way to give back to those who fight against terrorism. 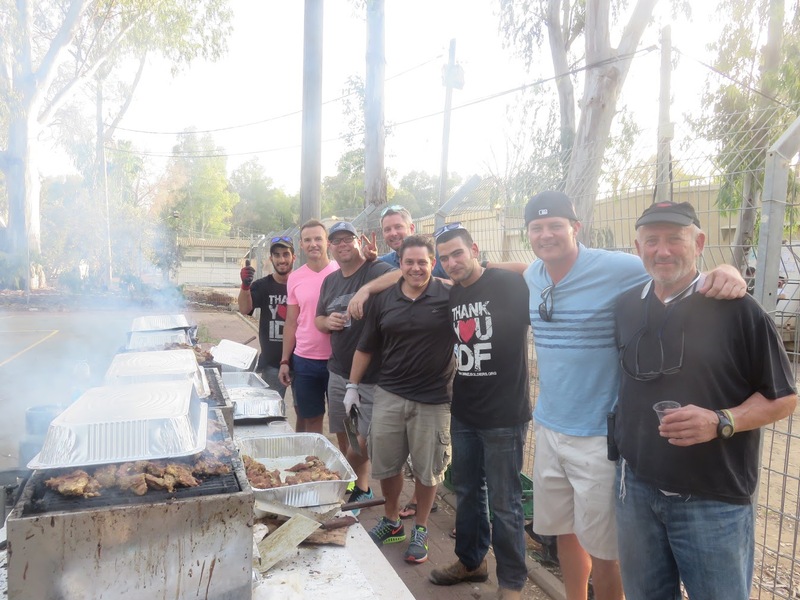 After preparing and cooking over 300 pounds of chicken, steak, and burgers, we were able to meet some of the men and women of this elite unit, whose recent covert actions (we could come to find out in the news a few weeks after) had proven out a new technology to prevent terrorist incursion into Israel. These men and women were all younger than us, but so respectful, appreciated, and wise beyond their years. 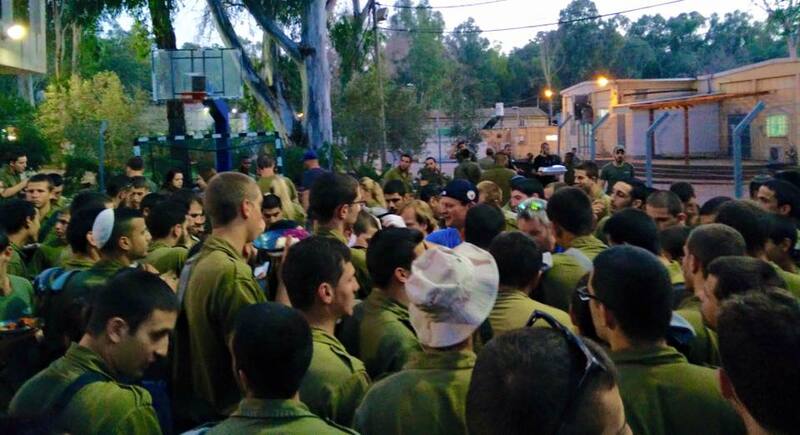 In Israel, the reality of life forces kids to grow up quickly and appreciate what they have. Our kids in America can learn a thing or two from them. 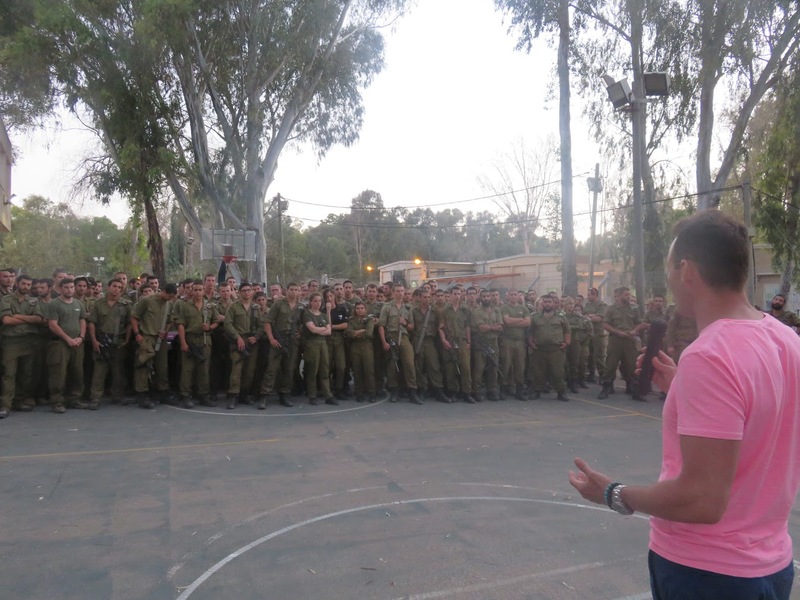 With a few of us holding back 250 hungry forces from the biggest and best meal of the month, Mickey stood in front of the troops and thanked them (in Hebrew) for their service, telling them their parents worry about them and want them to come home safely. It was a moment each of us will never forget. And then the onslaught began. In Israel, the concept of forming a line is slightly foreign, and so the 7 of us were immediately deluged by the troops, asking for seconds and thirds of steak and chicken. Most of them spoke English. Every single one of them was respectful and appreciative. And so were we. We pledged to get more involved in the states and support our active duty and veterans as our way of saying thanks. 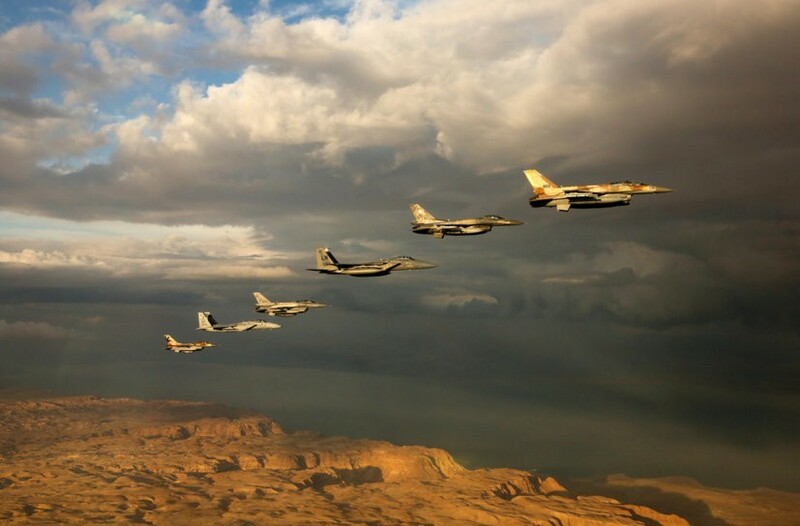 So, on behalf of the entire ImagineX leadership team and the entire ImagineX family, thank you to all the current and former servicemen and servicewomen, who protect the United States, Israel, and all other countries that believe in peace and opportunity for their citizens. This Memorial Day is for you.